circuits while still providing air flow. 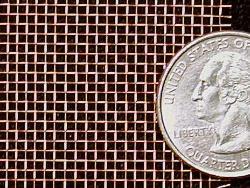 Our "16 MESH" has a .011 inch wire diameter. Its weight is 2.2 ounces per square foot. This product is very similar to insect screening typically used on residential windows. 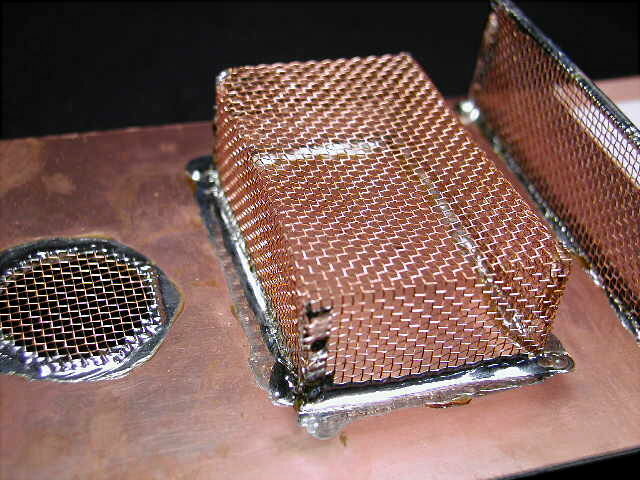 However, instead of aluminum or fiberglass, this product is made of copper. This product is easily soldered with ordinary electronics solder. * Actual cut size is approx. 11-3/4" x 11-3/4". Please be aware slight raveling can be expected along the edges. Need something bigger than our pre-cut 12" x 12" squares? wide by the number of feet you specify. your piece of mesh will measure 2 feet x 3 feet. 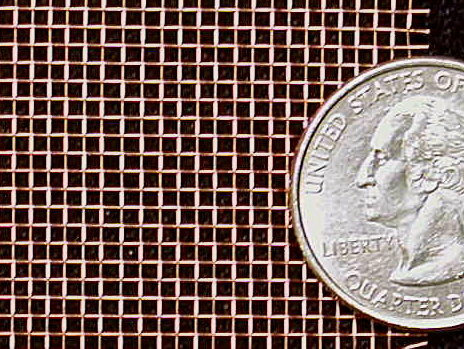 Our "10 MESH" has a .025 inch wire diameter. Its weight is 7.5 ounces per square foot. This mesh is heavier and stiffer than window screen. Please be aware slight raveling can occur along the edges.